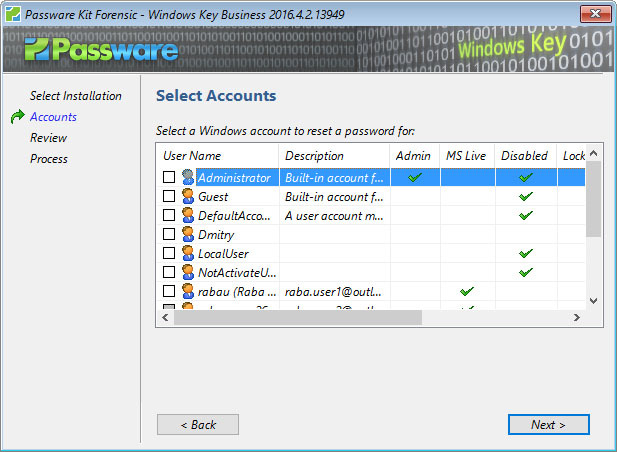 Passware Windows Key Business creates a password reset CD or USB Flash Drive that work during the boot process and instantly reset Administrator or other account passwords and Windows security settings that prevent you from logging in. Windows Setup CD or ISO image is required to make a Windows Key password reset CD or USB drive. If you do not have a Windows Setup CD, you can request a Windows Key ISO download.